The combination of a beautiful & natural tourism destination and the international standard of medical facilities make Phuket a wonderful place for a holiday and to seek medical treatment. 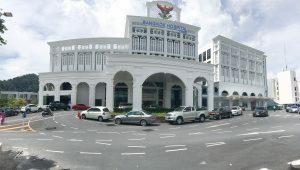 To make international patients confident in the medical personal, system and infrastructure, the Thailand Government have the quality program called Hospital Quality Improvement Accreditation (HA) for hospitals in Thailand to ensure and maintain quality in the healthcare services and this hospital has this accreditation. 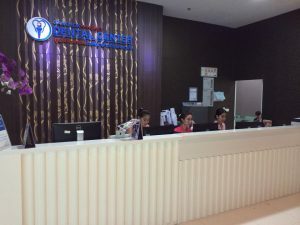 The hospital prides itself in being an international standard hospital, having advanced technology, excellent quality of medical personal and their service. With the warm nature of Thai people, foreign visitors soon feel right at home. Being accredited with JCI is recognition of our ongoing commitment to provide a high standard of patient care. Patients can receive greater assurance that they are receiving quality and safe care in our hospital that meets globally accepted standards. Joint Commission International is a US-based non-profit organization focused on improving the safety of patient care and organization management through the provision of accreditation and certification. Affordability is the advantage of medical treatment in Thailand. Patients can have international standard on medical treatments and relax in the holiday atmosphere all for a fraction of the cost of what the medical treatment would cost in their own country. Phuket is a perfect place for rehabilitation, as patients can enjoy, fresh air, sunshine, sea breezes, scenic views of oceans and mountains along with spa treatments. Thailand is becoming the health tourism hub of the world. This hospital also features a Health and Well-being centre too. This centre promotes good health and well-being and encourages patients to have an annual checkup. This enables patients to maintain their health as well as detect health problems earlier. They provide a variety of health checkups designed for different age groups and gender. With modern equipment and advanced technology, the hospital is able to provide accurate test results within 60-90 minutes. They offer a general well being check ups for under 40 year old and over 40 year olds. They are all excellent value and highly recommended. Phuket. This ensures that our clients have a quote for the cost of the treatment and know what dental treatment is recommended for them. We can pre-book all of dental appointments you require with the various specialist dentists. In most cases the dental treatment can be completed in 2 weeks. For people over 50, Refractive Lens Exchange (RLE) is the effective procedure for those who wish to improve vision and see things clearly with independent on eye glasses. The Refractive Lens Exchange involves the replacement of the non-functioning, aging lens with an artificial lens that has better focus and clarity. With the hospital’s advanced technology and expertise, you have the ability to achieve freedom of vision; both distance and near without glasses.